Thonet Australia launched in Melbourne in 1979. More than 30 years on, the design establishment still turn to Thonet for contemporary and classic European product at affordable prices. 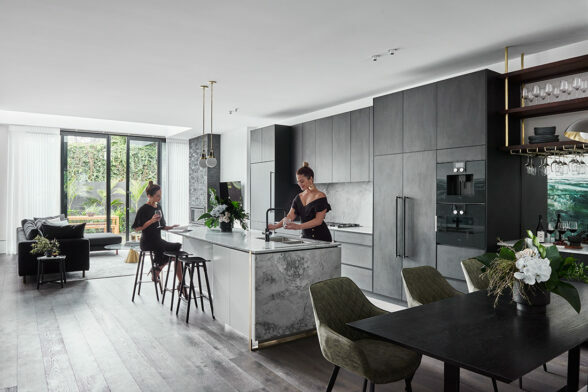 Thonet furniture graces the interiors of the best homes, restaurants, cafes and commercial buildings throughout Australia. 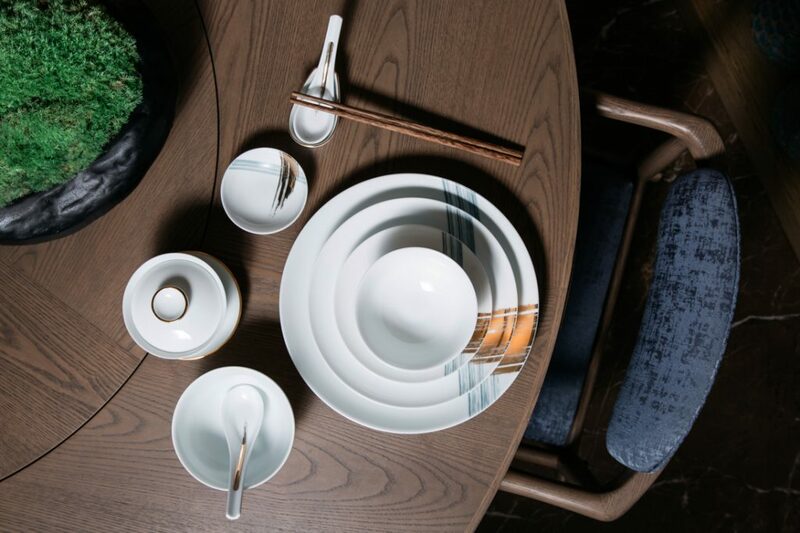 To most, Bentwood stands as a shining example of what can be achieved through design. 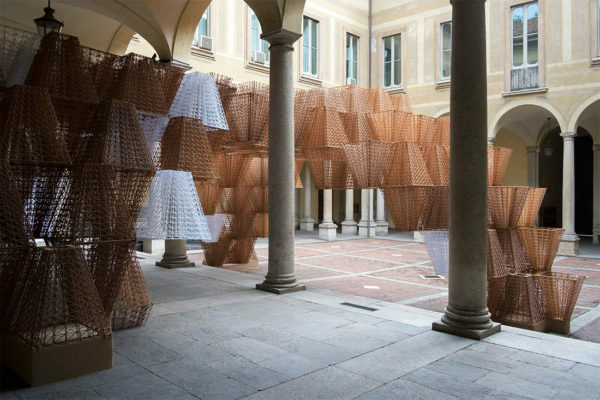 Its form both expresses and symbolises the manufacturing process that lay behind it. Thonet bentwood chairs are made from European beech using traditional steam bending methods. They arrive unassembled and are assembled in our Melbourne workshop. Thonet offers affordable, high quality, authentic design – sourced from original European companies. Every Thonet product is chosen for its comfort, design excellence and suitability. As well as bentwood, the Thonet Australia collection includes locally manufactured tables and product from companies such as: Rybo – West Nofa of Norway, Green SRL from Italy and Tolix from France. Thonet Australia launched in Melbourne in 1979. More than 30 years on, the design establishment still turn to Thonet for contemporary and classic European product at affordable prices. This season’s hottest look has just hit the market. 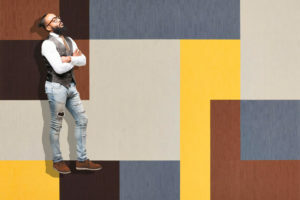 It’s not flooring, it’s fashion … daahling. 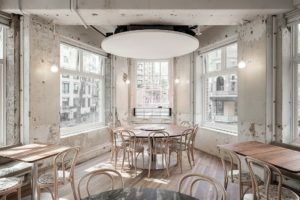 The Austrian company Gebruder Thonet Vienna GmbH has a legacy of pioneering the use of the mechanical steam bent process on a grand scale that forms the core of their universally recognised signature curves and elegant designs. 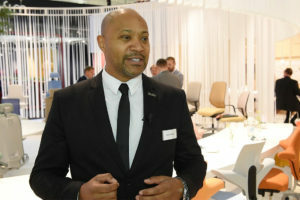 “We connect with the Chin Chin customer through materiality. You would expect to see the chipboard substrate cladding in a twenty-something’s apartment. 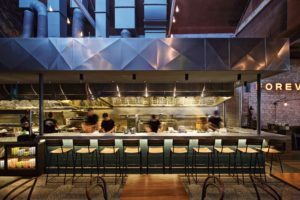 It’s raw and youthful and in that sense makes a relationship with the Chin Chin majority diner” says George Livissianis. 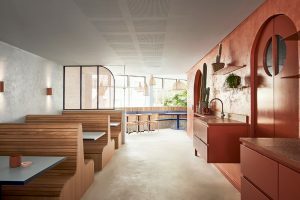 At Fonda Bondi, Studio Esteta has looked to the work of Luis Barragán and Sydney’s seaside location to design a space where Mexican cuisine and local hospitality are dished up. The shopping mall is making a comeback – but not in the way you might expect. 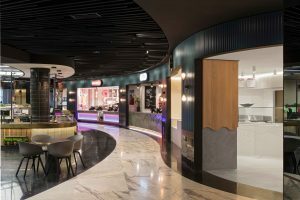 SJB reimagines the retail experience at Sydney’s iconic Chifley Plaza through a clever pairing of Manhattan Art Deco nostalgia and a design strategy that appeals to our hearts and our feet.